Allison DuBois is a medium and a profiler who has helped put horrific criminals and killers behind bars. Her life is the inspiration for the popular NBC television drama, Medium. Allison Dubois’ book, We Are Their Heaven, has received critical acclaim. Allison DuBois was born January 24, 1972 in Phoenix, Arizona. She graduated from Corona del Sol High School in Tempe, Arizona. Allison DuBois received a degree in political science from Arizona State University. While in college, Allison DuBois worked as an intern in the District Attorney's office in Phoenix, Arizona. She has always had an interest in the law and protecting people from harm. The NBC television show Medium is based on another of Allison DuBois' book, Don't Kiss Them Good-Bye. The show is not a biography of her life, but it is based on her life experiences. Many things that occur on the show are accurate, such as the fact that Allison DuBois' husband is an aerospace engineer. Allison DuBois also has three daughters, just as portrayed on the television show. Allison DuBois believes that all three of her daughters inherited her abilities. On the television show Medium, Allison DuBois' first case is with the Texas Rangers -- just as her first case in real life was with the Texas Rangers. Patricia Arquette plays Allison DuBois on the television show and won an Emmy for fine portrayal of DuBois. Medium is produced by Kelsey Grammer, best known for his popular television show on NBC's Frasier and earlier for Cheers. A big difference between the television show and "real life" Allison DuBois: her visions tend to come to her when she is awake, not when she is sleeping. Allison DuBois has been low-key about her abilities during her youth and her adulthood. At the age of six, Allison DuBois knew that she had psychic abilities. Allison met her husband Joe at a popular college hangout called Gators near college. Joe had no idea about his wife's special psychic abilities until well after they had married. It was only after their first child was two years old that he knew that his wife was a medium and a psychic. Allison DuBois does not like to be called a psychic because she believes it has negative interpretations. Allison communicates often with those who have passed on. She has used her psychic abilities to assist law enforcement agencies to solve crimes. Allison DuBois has worked with the Texas Rangers and the Glendale, Arizona Police Department. Currently, the law enforcement agencies have denied that any cooperation with Allison DuBois occurred. Allison also used her psychic abilities as a jury consultant. Before Allison DuBois had a television show, she participated in tests with the University of Arizona for four years to study mediums and psychic phenomena. She was also contacted by Paramount for a reality-TV show pilot called Oracles about people who would give psychic readings. She went in, getting narrowed down from 120 psychics all the way down to 5. 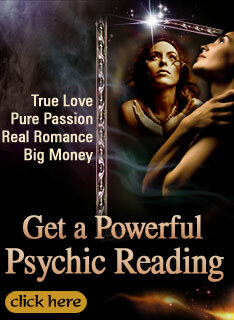 The 5 psychics would be giving readings to an audience. It wasn't completely what Allison DuBois wanted to do, but she was curious about meeting others who did what she did -- so she went and gave it a try. Here she met Kelsey Grammer, the producer of Oracles, who later became the producer of Medium. Kelsey Grammer contacted her some time later and asked if she would be interested in doing a television show based on her life. Allison DuBois has written several popular books: Don't Kiss Them Goodbye, We Are Their Heaven and Secrets of the Monarch: How the Dead Can Teach Us About Living a Better Life. Hi, I'm from AZ so the show Medium is in my backyard. I've loved it from its beginning along with Allison Dubois. Thank you so very much for sharing your life experiences with us even though some of them are created in Hollywood. But gifted people like Allison and Sylvia have opened up so much insight for all of us to share and be aware of, it's incredible. I feel like I'm learning something new everyday and feel much closer with my departed loved ones and my heavenly family. Thank you again for sharing your life with all of us and may God bless us all, With Love SusieP. Excellent I would love to see her talk more about her abilities live or on TV. I think the TV show Medium is great although I know longer have that channel on TV (only get 2 channels now:(. Its good to know that she gets a good night sleep since her visions actually come during the day!! :)Compassion, caring, and doing great work hmmm Allison Dubois you get an A+ in my book and your gorgeous to boot.